Lighting Design Consultants in London. Find here independent architectural lighting design consultancy based in London, England. 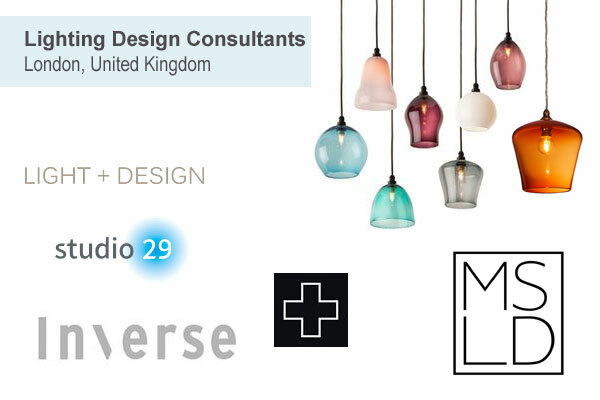 Over 20 years experienced team of lighting designers offering residential lighting design service, commercial lighting design service and bespoke lighting design service. An award-winning multinational architectural lighting design company based in London, England. Offices in London, Dubai and Beirut. 7th Floor, 11 York Road, London SE1 7NX, UK. Lighting consultant in London, England. Offering bespoke, creative lighting design services for Hotels, Spas, Offices, Retail, Leisure, Restaurants, Exteriors, Heritage, Residential, Yachts, Bespoke Luminaires etc. Lighting consultant in London UK. Firefly Lighting Design is an award winning lighting consultancy firm with offices in London and Hong Kong. South West London based lighting consultancy firm serving more than 15 years for homes, gardens, restaurants, bars, hotels and retail outlets all over the world. Residential Lighting Design price from £25. An independent architectural lighting consultancy based in London, UK. Provides lighting design services for a wide range of projects for both private and commercial clients. Multinational (UK, Thailand, Hong Kong) lighting design company based in London. Award-winning lighting consultancy firm offering all types of exterior, residential and commercial lighting design services. London based architectural lighting design consultants specialise in Strategic Light Consulting, Project Design & Delivery and Product Development. 7F Hewlett House, Havelock Terrace, London SW8 4AS, United Kingdom. An award winning independent lighting consultancy in London. Services are residential lighting, commercial lighting, exterior lighting, garden & landscape lighting and swimming pool lighting. London WC1H 8BA, United Kingdom.